The yoga class at the Hempstead MOMMAs House is one of United We Om's first Karma Projects. Responding to the needs of the young mothers in residence at the home in Hempstead, each weeks class is slightly different. Ranging from restorative and gentle yoga to guided relaxation and yoga nidra, the class is a time for the women and their babies to be together in a space of calm and provides tools to reduce stress and reaction in their daily lives. 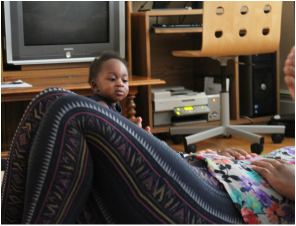 ​In 2016 we have provided Yoga and Meditation to all three MOMMA's House residences in Glen Cove, Hempstead and Jericho on Long Island. 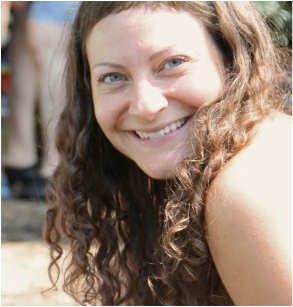 E-RYT 500, Jenny has been teaching yoga for over 10 years. She completed her 200 hour at the Sivananda Ashram in Colorado, and her 500 Hour Certification in Prana Flow with her beloved teacher Shiva Rea. She is also deeply passionate about Prenatal Yoga and Mommy & Me Yoga. Jenny is cofounder of United We Om and Creative Director. It is now a mission of hers to see her beloved Yoga community open its arms and include everyone, and she believes she will see a day when the practices of yoga that have been so transformative in her life belong to everyone. MOMMAS House is a home for young mothers aged 18 to 23 years and their babies. For approximately two years, the young mothers at MOMMAS House continue education or vocational experience interrupted by pregnancy. With guidance and direction, the young mothers can learn to support themselves and their children independently. Many young pregnant women, unwilling to part with their children through adoption placement, have no place to which they can bring their baby home to. Some of the young mothers are homeless-- living in cars, sacking out in dives, surviving in temporary situations. Many other young mothers live with parents who would not let them return with a baby, or the young mothers were part of dysfunctional homes considered dangerous for an infant. The infants of all these young mothers in crisis often became victims of child abuse and neglect. Moreover, the young mothers themselves would become isolated and hopeless, trapped into a life of dependency upon public assistance. Click to learn more about MOMMA's House.